Our silver chain necklaces are a truly diverse option. Choose one of our chains for a perfect every day accessory and dress it up on the weekends with a stunning and well-crafted pendant. With our selection of silver chain necklace designs, you are free to explore your own creativity to put together your own Southwestern jewelry masterpiece. We offer simple and elegant chains as well as more elaborate designs for those special occasions. 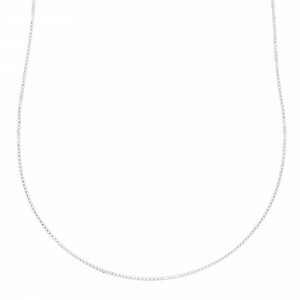 If you are in search of a silver chain necklace, we have the right selection for you. We have items to match any style and any price range. 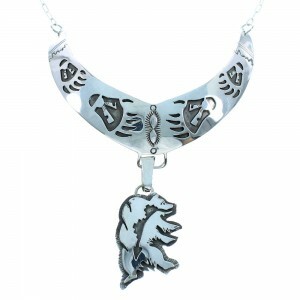 You can pick a fantastic silver chain necklace and customize it with a beautiful centerpiece from our collection. Or pick one of our silver chain necklaces with a detailed pendant included, such as our Pueblo inlay designs, which feature dazzling miniature landscapes artfully carved from a variety of stones. Nothing complements detailed stonework like a shimmering silver chain. 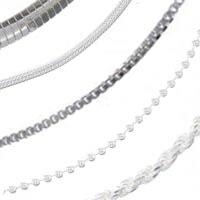 Our selection includes chains with large links, liquid silver chain necklaces and diamond cut bead chain necklaces. Every tribe has their own distinct style while many of the techniques overlap from tribe-to-tribe. Modern day examples feature the style and beauty that has made this jewelry popular for generations, yet every artist has the freedom to explore different styles and themes. Our silver chain necklace collection leads the industry. You'd be hard pressed to find a larger collection that represents so many styles and offers such dramatic discounts on the most popular styles available today. 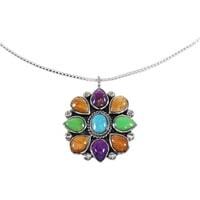 Whether you are looking for something to complement a multicolor stone inlay centerpiece or a simple silver chain necklace for men, you have found the right place. Our silver chain necklaces for men feature rugged and long-lasting designs that will maintain their integrity and luster for years to come. Nothing complements the vast array of stones and other materials available at SilverTribe like an elegant silver chain necklace for men. 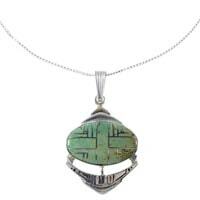 The designs you'll find are also culturally and spiritually significant to many tribes. For instance, a silver chain necklace featuring the Kokopelli is believed to represent fertility. This commonly seen image has appeared on petroglyphs dating back thousands of years. Today, the image of the hunchbacked flutist appears on jewelry and remains an important deity to the Pueblo and Hohokam tribes. 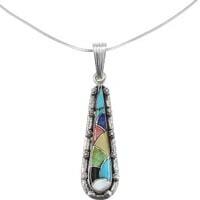 We also carry silver chain necklaces that feature the classic tear drop design with a stunning stone centerpiece. This simple, yet classic design has been incorporated into Southwest jewelry for generations and remains a popular option today. 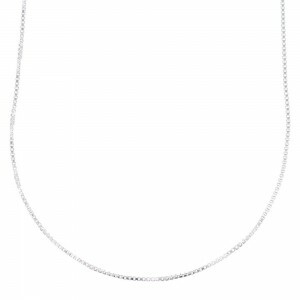 Browse through our extensive collection of silver chain necklaces to find a piece you connect with. Whether you are interested in the spiritual, traditional or fashion aspects, our collection offers something for even the most distinguishing tastes. SilverTribe offers the best value on the web. Our customers have come to expect impeccable artistry and durability at prices that cannot be beat anywhere else online. 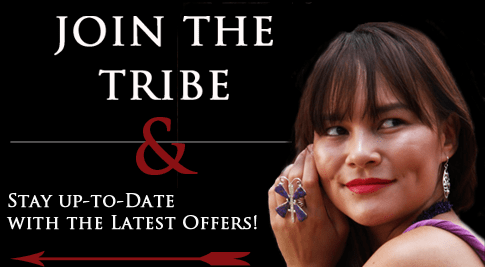 Come see what makes us the online leader in Native American necklaces.